SteelBird and kenvui like this. antiterror13 and Bltizo like this. The fact they are blue also implies those are training missiles instead of the real thing AFAIK. Yes, but would anyone expect live missiles during an international airshow? antiterror13, Yodello and KIENCHIN like this. Sure. It's just that I can't remember any photos of them carrying the real thing. Then again this is a leading edge weapon so they probably try to hide its operations record a bit. Fifth generation fighters have the option to keep their bays closed! 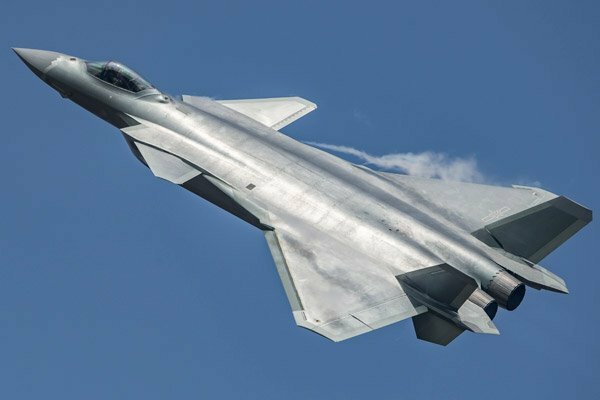 It will be very hard for PLA watchers to get a photo of a J-20 carrying the real thing unless PLAAF wants them too. antiterror13, Yodello, N00813 and 5 others like this. Chinese scientists have found a material that can hide a hot object from heat-sensing infrared cameras, according to Suzhou Institute of Nano-tech and Nano-bionics, which could be useful for military and technology applications as well as for research. davidau, SteelBird, antiterror13 and 2 others like this. Yodello, N00813, Air Force Brat and 4 others like this. Error level around the supposed J-20 is off. In case imgur has recompressed the image, siegecrossbow if you have the image before uploading to imgur, could you perform an ELA on FotoForensics? N00813 and Air Force Brat like this.